In 1969, as the Modernist buildings of La Trobe rose from the paddocks of Bundoora, the new university welcomed its first Resident Fellow, the internationally renowned Classical Art historian A.D. (Dale) Trendall. An apartment at the top of Menzies College was specially designed for Trendall by architect Robin Boyd, to be his workplace as well as his home. It contained not only his significant private library but also his photographic archive of some 40,000 images of ancient painted vases. It was here that Trendall produced most of his ground-breaking studies of the art and culture of ancient Southern Italy and Sicily. Trendall bequeathed his library and other collections to La Trobe University upon his death in 1995. Today, the apartment houses the Trendall Research Centre and is a major research resource for both Australian and international scholars. 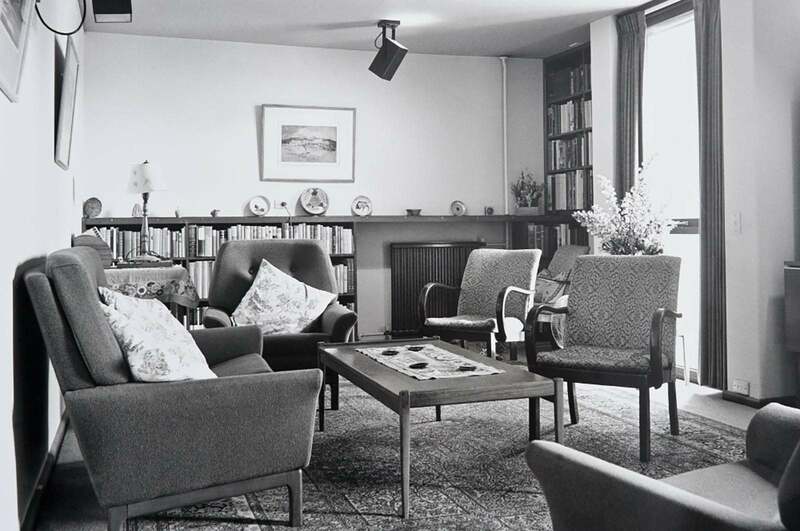 The apartment retains not only the structural and interior features of Boyd’s design, but also Trendall’s personal effects, including his extensive range of Fler furniture (one of Boyd’s preferred designers) and collections of modern art, antiquities, and antiquarian books. Tour Details: First release Friday 13 July 8:30 am until booked out, second release Friday 20 July 8:30 am until booked out, small booking fee applies. Tours last 60 minutes.